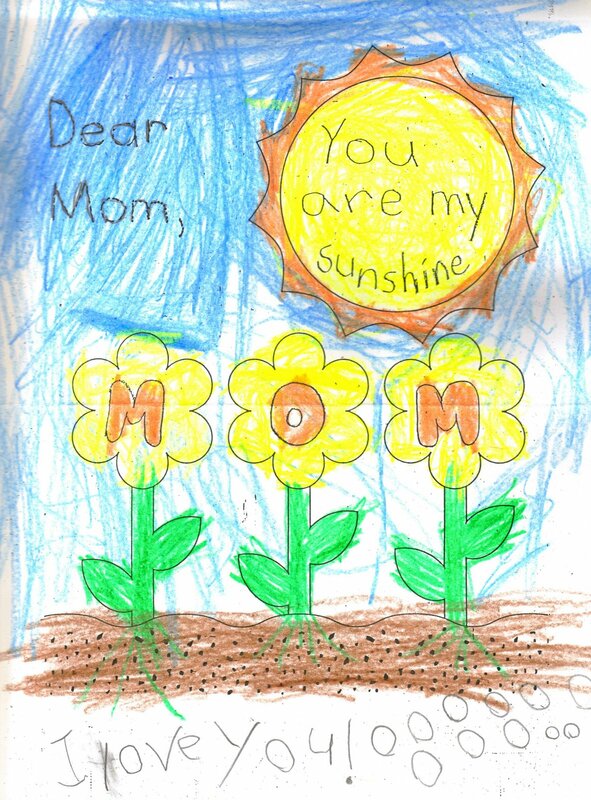 Thank you for this very special Mother’s Day card. I love that you were patient enough to keep it in your secret hiding place until this morning, when you pulled out the paper bag you brought home from school last week. You remembered! 🙂 All smiles, you proudly showed me this card you made for me, and I noticed that you even used our favorite color for the flowers. Thank you for explaining to me that the circles are lots of big hugs and two little hugs. The X’s are conspicuously missing; you have never liked getting or giving kisses, since you were very small. (Even when you’re half asleep, you wipe them off with the back of your hand.) I used to try to force it, until one special person showed me by example to embrace you just as you are – to respect you and your boundaries. You don’t like kisses. So I don’t give them. But thank goodness you like hugs, because our hugs are very important to me. Thank you for loving me. I can’t think of a greater gift.